Orlando, Florida is home to some of the best amusement parks in the world. Disney World is a place where dreams are made. Home to 4 parks its sure to be a blast. However, Orlando also has Universal Studios which is home to 2 parks that are equally as good. It’s hard to decide between the two right? Well you don’t have to! 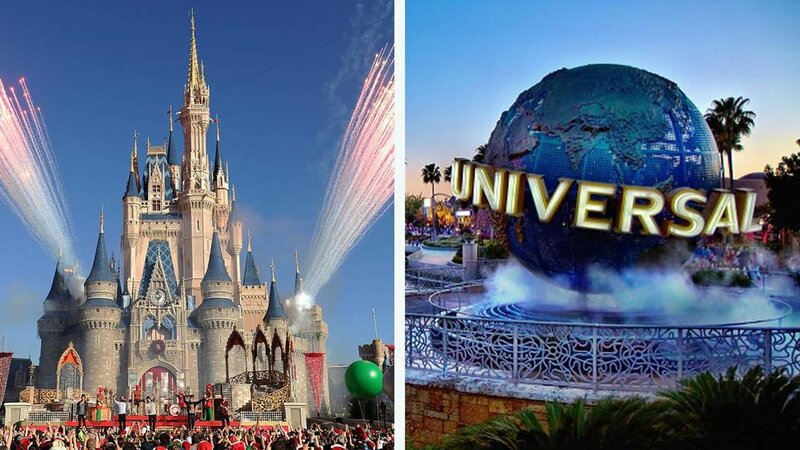 Here at Legacy we offer a 7 Day Spring break trip to Orlando where you’ll be able to go to both parks! We offer a day per park so that’ll be 4 days at Disney for each park and 2 days at Universal for their parks. You also don’t have to worry about the lines. You’ll be provided with both Disney Fast Passes and Universal Express Passes so you can skip the line and get straight to the fun! You will have an extra day where you can relax at the hotel you’re staying at for your trip: The Westgate Lakes Resort & Spa is a beautiful luxury resort that has a lakeside view and is very close to both parks. They offer indoor and outdoor heated pools and jacuzzis, an outdoor tennis and basketball court, a luxury spa, and a variety of day activities that you can check out here , All in all we offer a 7 Day Trip ( was $4,300, Now $3,870) that should last your spring break. You can relax at a phenomenal hotel while feeling the thrills of two of the most iconic parks of the world.